Or is it the new comms bill in work already? Looks to be just straight down, rather than a bad cert. Isn't that the same as visiting any of the CACert sites hosted by A&A though? No random CACert installed == Bad SSL warning. No, that is usually a click through not a try again. 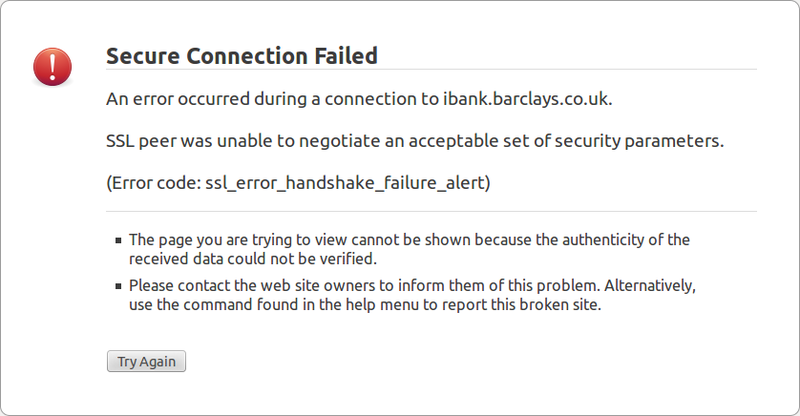 It is working today, but slightly amusing that clicking on the "Security" link from on-line banking went to a page not found. I've seen it on several occasions where santander's logout link tries to send you to a page within their staging environment. Shows how well they test their site after making it live!